A few years ago, Audio Research began to introduce a series of design changes to both the interior and exterior of its products, starting with the G-Series. The initial development was very much a high-end prospect, as the changes stretched to the Reference range, but now in the new Foundation models, the sea-change in performance and style reaches down to the attainable. 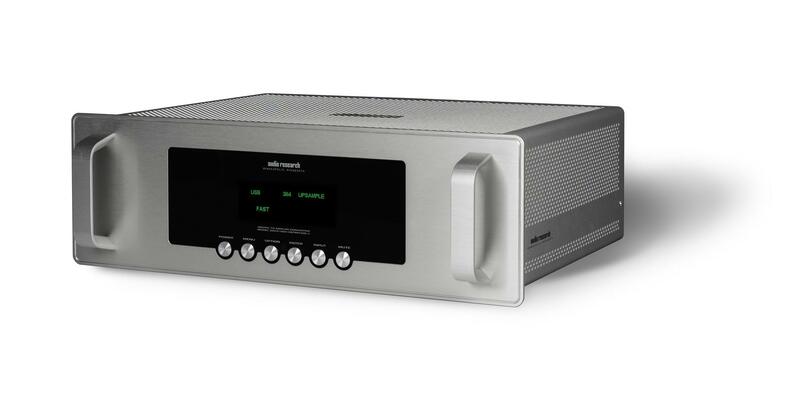 The Foundation Series – the original three models of DAC, phono preamp, and line stage, now joined by a power amplifier – was launched last year as effectively a replacement to Audio Research’s traditional core lines (although models like the CD6, the LS27, and the SP20 remain in the catalogue at this time). This not only ultimately results in a simplification of the line – Foundation for the entry-level, G-Series for the more lifestyle-oriented clientele, Reference for the top-end – it represents a more obvious trickle-down (and in some cases, trickle-up) engineering development concept: design and technology aspects are passed from product line to product line. To a certain extent, ‘twas ever thus at Audio Research, but the current product lines have a closer relationship to one another at the design level. However, this puts the Foundation DAC 9 in an odd position at Audio Research. As we go to press, it’s the cheapest standalone digital source in the line at the moment, but it’s also the newest, and the best of the bunch. The ‘as we go to press’ point is crucial, as there is a strong possibility of a replacement to the Reference series DAC any day now, and much of the product development that went into the DAC 9 will filter up into that top-end digital product. From the outside at least, the DAC 9 is very much a conventional digital to analogue converter, eschewing both streaming and headphone amplification to concentrate on that one job of converting digital music sources to line-level analogue audio signals for an amplifier or preamplifier. Instead, the DAC 9 supports USB 2.0 (type B input), alongside RCA, BNC, and Toslink S/PDIF connections, and even an AES/EBU XLR input, all of which are galvanically isolated from the main circuit. It also largely skips the DSD ‘arms race’, with support for 2.8224MHz and 5.6448MHz DSD files natively, but ignoring ‘quad DSD’ on pragmatic lines, because of the paucity of quad DSD files available or likely to be available. In fact, the DAC 9 could be considered two DACs in one, as it has two entirely different digital pathways depending on the input signal. Unpacked DoP files are passed through a dedicated serial DSD music file path, while PCM decoding to 24-bit, 384kHz precision is given its own PCM-only digital pathway. The two digital datastreams only converge after conversion and filtering in the analogue domain at the valve-based output stage. Both pathways use a pair of dedicated mono DACs, and the PCM pathway uses a pair of TCXO crystal oscillators; one for multiples of 44.1kHz, the other for multiples of 48kHz. The former is used to improve dynamic range, while the latter means no interpolation distortion errors (as an example for Mac users, try listening to the difference in quality of your ripped 16-bit, 44.1kHz CD files when transcoded to 48kHz by Audio MIDI Setup).